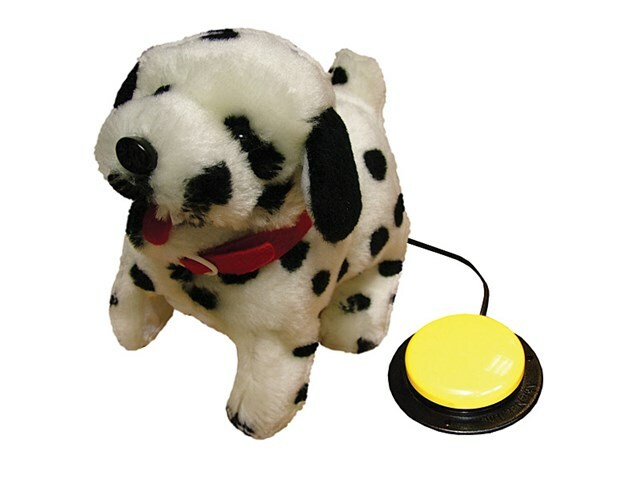 Dotty Dalmatian walks forward, sits down, barks and peforms a back flip. Accepts any 3.5mm switch (not included). 2 x AA batteries included.